This animated film was developed and penned by Mamoru Oshii. 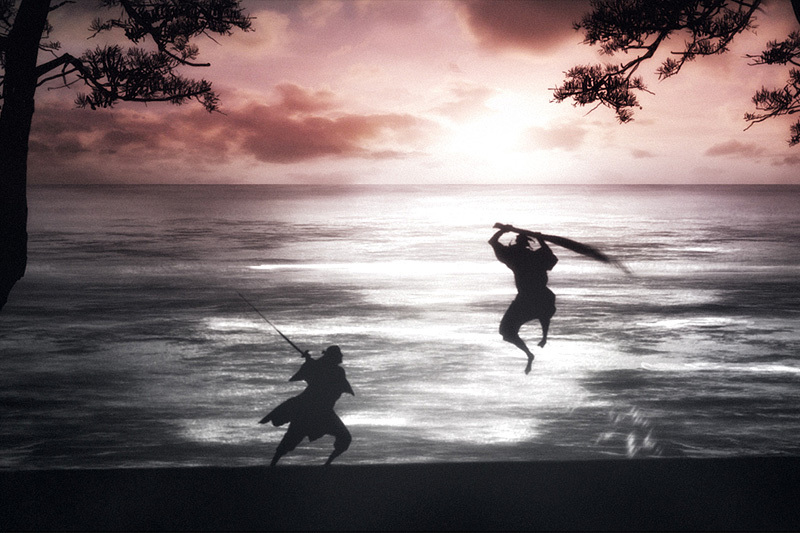 Miyamoto Musashi (1584-1645) was a Japanese swordsman famous for his life-or-death duels and distinctive two-sword style. 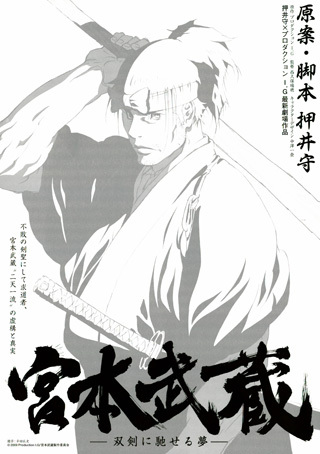 Miyamoto Musashi has been the subject of approximately 36 films, plus numerous tv shows, comics, and novels.